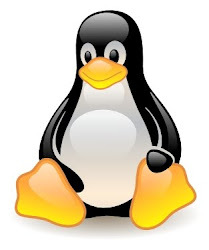 The magic SysRq key is a key combination understood by the Linux kernel, which allows the user to perform various low level commands regardless of the system's state. It is often used to recover from freezes, or to reboot a computer without corrupting the filesystem. To be able to use this functionality the CONFIG_MAGIC_SYSRQ option has to be enabled at kernel compile time. This key combination provides access to powerful tools for software development and disaster recovery. In this sense, it can be considered a form of escape sequence. Principal among the offered commands are means to forcibly unmount file systems, kill processes, recover keyboard state, and write unwritten data to disk. With respect to these tasks, this feature serves as a tool of last resort. The key combination consists of Alt, SysRq and another key, which controls the command issued (as shown below). q: Display all active high-resolution timers and clock sources. This is equivalent to the key combination Alt + SysRq + B which reboots the machine. The feature is controlled both by a compile-time option in the kernel configuration, CONFIG_MAGIC_SYSRQ, and a sysctl kernel parameter, kernel.sysrq. And remember "Raising Elephants Is So Utterly Boring" for when all else fails, you can use that as a last ditch effort to reboot gracefully.